By now, we are kinda used to the fact that RAW images can be pulled or pushed to recover details in what were once lost photos. 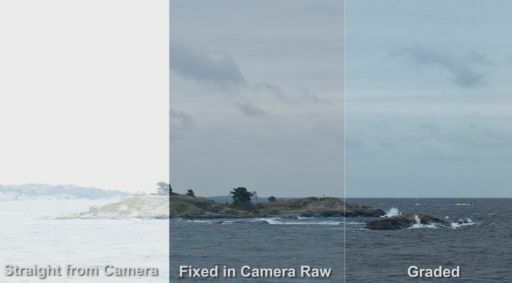 It seems though that with “cheap” camera that produce RAW footage like the Blackmagic Cinema Camera (or a Magic Lantern loaded Canon), pulling overexposed movies is becoming a viable option for amateurs / advance amateurs videographers too. (It was always an option for the pros). Swedish videographer Mattias Burling did a short test showing how much burnt data you can recover when shooting RAW with a Blackmagic camera.